Finalists have been announced for HX: The Hotel Experience’s 36th annual Gold Key Awards for Excellence in Hospitality Design, the industry’s oldest and most prestigious awards program, which is sponsored by Boutique Design magazine. Winners in 21 categories will be announced at the Gold Key Awards Gala, to be held Nov. 14 at the Waldorf Astoria, New York. The Designer of the Year will also be honored during this special evening. The gala is presented in conjunction with co-located trade fairs Boutique Design New York (BDNY), Nov. 13-14, and HX: The Hotel Experience (formerly IHMRS), Nov. 13-15, at New York City’s Jacob K. Javits Convention Center. Bill Rooney Studio Inc., New York; Kimpton Mason & Rook Hotel, Washington, D.C.
Powerstrip Studio, Los Angeles; Hotel Palomar, Washington, D.C. The Gold Key Awards program recognizes the most influential and innovative design work in the hospitality industry. To be eligible, new construction, conversion or renovation work must have been completed from June 1, 2015 to July 1, 2016. Finalists and winners are determined by a jury of industry leaders from the design, operations, development and investment sectors of hospitality. Judges for this year’s Gold Key Awards include: Edwin Hendriksen, senior vice president development & investments – North America, citizenM hotels; Lori Horvath, senior vice president, project and development services, hotels & hospitality, Jones Lang LaSalle; John McMullen, senior vice president of construction, Highgate Hotels; Michael Medzigian, chairman and managing partner, Watermark Capital Partners LLC; Jagruti Panwala, president/ceo, Wealth Protection Strategies, AAHOA secretary 2016-2017, AAHOA female director at large Eastern Region; Dane Patunoff, director, development & construction, KHP Capital Partners; Jay Pecotte, senior director, project development, hotels & casinos – Americas, Hard Rock International; Thomas Prins, partner, Benchmark Resorts & Hotels; and Larry Traxler, senior vice president – global design, Hilton Worldwide. “With entries reaching a record of nearly 500, this year’s Gold Key awards competition offers an overview of the best hospitality work being done around the globe by firms large and small. The creativity, functionality and human thumbprint on each project represents a dynamic new direction for hospitality design. Choosing the winners and finalists was never more challenging for our judges,” said Mary Scoviak, Boutique Design executive editor and HMG conference director. Prior to the Gold Key awards ceremony, NEWH, the professional network of the hospitality industry, will present its 2016 ICON of Industry award to Jane Skeeter, ceo and founder, UltraGlas Inc., a leading manufacturer of architectural and high performance glass and glass tile. The group will also present its $7,500 ICON of Industry Scholarship to a currently enrolled student pursuing a career in hospitality. The winner will be announced at the gala. Advance registration is required for the Nov. 14 cocktail reception, awards ceremony and dinner at the Waldorf Astoria. Tickets are $495 per person at bdny.com; availability is limited. Complete details about the Gold Key Awards for Excellence in Hospitality Design are available at bdny.com and thehotelexperience.com. Romanian-born architect Anda Andrei is most recognized as the creative force behind Ian Schrager, working alongside the famed hotelier for 30 years on iconic hotels that include New York’s Gramercy Park, The Delano in Miami and LA’s Mondrian. At the age of 60, she started her own firm and continues to create design buzz with a list of high-profile projects that includes 11 Howard and The Norm restaurant at the Brooklyn Museum. She’s also serving as creative lead for a multi-billion revitalization of the Jersey Shore’s Asbury Park and recently debuted the chic Asbury Hotel. She counts the ability to pick and choose her projects, assemble her own team as well as ”be 100% free to dream” as the most rewarding aspects of having her own firm. Andrei encourages up-and-coming women designers to believe in themselves and step out of their comfort zones – reiterating that there’s no such thing as “never too late” when it comes to changing career directions or forging industry-changing design trends. She’s looking forward to meeting and sharing ideas with her fellow members of the 2016 Boutique Design Power Players panel, comprised of women leaders representing all facets of the hospitality industry. 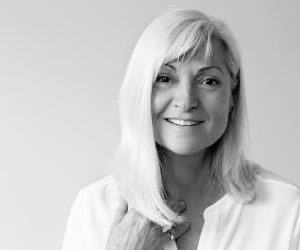 Join Anda Andrei and the other esteemed panelists, as she shares details of her storied career along with insider advice during the Boutique Design Power Players: Women Leaders in Hospitality Breakfast and Panel Discussion, in partnership with NEWH, on November 14 at 9 am. Purchase tickets online for this extraordinary panel discussion that will be preceded by a keynote presentation from Cheryl Durst, executive vice president/chief executive officer of IIDA.